The Senate Education Committee will take up one of the last remaining education bills of the session Wednesday. The committee will hold a public hearing at 8 a.m. in Room WW55 on House Bill 293, a pared-down funding formula bill. This bill won’t rewrite Idaho’s school funding formula — that proposal is dead for the year. Instead, HB 293 would define terms in state law and require school officials to submit new enrollment and funding reports to the state. Bill supporters say the additional data will help inform legislators if they attempt a full-blown funding formula overhaul in 2020, or beyond. 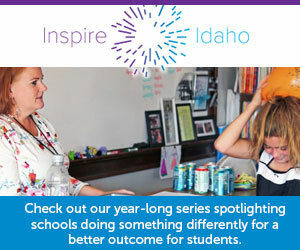 A debate over Idaho’s complicated funding formula has dominated education circles this year. For three years, a legislative interim committee developed the framework of a proposal to ditch Idaho’s 25-year-old attendance-based formula and replace it with an enrollment-based model where funding would follow the student. Legislators and Legislative Services Office staffers wrote more than a dozen drafts of bills to rewrite the formula, but the drafts stalled out amid concerns over process and transparency. A full-blown funding formula bill never made it to the House or Senate floor for a vote. The pared-down HB 293 is different. Freshman Sens. Dave Lent, R-Idaho Falls, and Jim Woodward, R-Sagle, managed to get the House Education Committee to print the bill. From there, Reps. Bill Goesling, R-Moscow, and Wendy Horman, R-Idaho Falls, steered it through committee and onto the House floor, where it passed 67-2 on Monday. During a committee hearing last week, education officials and Nampa and Caldwell school district representatives voiced concerns with aspects of the bill’s definitions, salary schedule and reporting requirements. Sponsors said they would clarify the salary schedule wording won’t deviate from existing law, and would look toward the rule-making process to iron out any other issues. Check back with Idaho Education News Wednesday for full coverage of the Senate Education Committee hearing. The House voted unanimously Tuesday afternoon to approve a bill allowing school district patrons to vote on extending supplemental levies. Senate Bill 1061aa would apply to districts that have had a voter-approved supplemental levy on the books for at least seven consecutive years. In those cases, districts could extend a levy for an additional three and 10 years, without going back to voters every year or two. The bill came from the Basin School District in Idaho City. “They have had a supplemental levy for seven continuous years and the community is very supportive of its levy,” said sponsoring Rep. John McCrostie, D-Garden City. The bill has been amended a couple of times. One amendment would trigger an election in the event of an economic downturn. Patrons would be able to decide whether to continue the supplemental levy or strike it down. The House also amended the bill to address situations when part of a district’s boundaries and tax base are annexed into another district. If the annexation would remove 10 percent or more of the taxable value of a school district with an ongoing supplemental levy, the entire district would have to approve the departure. SB 1061aa passed the House 68-0. Next, it returns to the Senate for consideration of the House’s amendments.